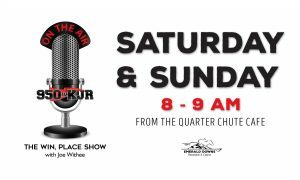 The Win, Place Show: Hosted by Joe Withee and Rob Rao on KJR, 950 AM every Saturday and Sunday from 8-9 AM. Joe and Rob welcome special guests each show and discuss racing at Emerald Downs and throughout the country. Chris Larmey – One who’s done much for himself by being a Hall of Fame handicapper and much for all horseplayers by being involved in the 2017 regulations that reduced the witholding and reporting of winning wagers. He now has a weekly podcast that horseplayers should take note of. Howard Belvoir – Washington Thoroughbred Hall of Fame trainer won his third Longacres Mile last summer with the popular Barkley taking the top race. Barkley’s back as well as a potentially strong stable. Jon White – White had Omaha Beach at the top of his highly regarded Derby contenders list and that horse came through impressively in last weekend’s Arkansas Derby. Omaha Beach heads toward the May 4 Run for the Roses as the probable favorite. Steve Bullock – Veteran northwest trainer had an incredible season in 2018 winning six EmD stakes from just 10 starters, including four victories from Washington Horse of the Year Sippin Fire. He has a larger stable in 2019. Emerald Downs Weekly: Hosted by Joe Withee and a panel of experts/misfits including Track President Phil Ziegler and Promotions Manager Gary Dougherty. Catch up on everything going on at the track. 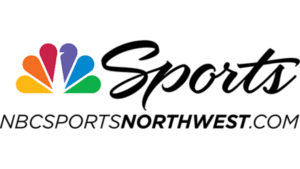 The show airs on NBC Sports NW, Comcast channel 179/617 in the Seattle region every Thursday at 11 PM and repeats Friday morning at 9 AM. Stay up to date on everything going on at Emerald Downs this year. The first show: Thursday April 18. Live Streaming: You can watch all the live action from Emerald Downs on our web site, www.emeralddowns.com You can also watch replays of all the races.